This Ultimate Gift Guide for Mama’s has some great ideas for the Women in your lives and details on why I love them!! Be sure to stay tuned for my other gift guide ideas for this year! This post contains some affiliate links for your convenience, read my full Disclosure Policy here. Runway Robe – Am I the only Mama that looks like a hot mess at home?? Yes, ok, now I feel silly! Well, no more do I have to feel like just because I am home, I can be frumpy in my flannel zip-up housecoat! This gorgeous Kimono-style robe is exactly what I need to feel beautiful and comfortable all at the same time! 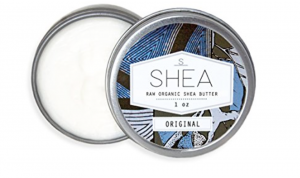 Shea Butter – This little package goes a long way! Great for dry skin and lips…it is hypoallergenic so it helps when the kids eczema flares up and the winter winds chap faces and skin! Makes a great gift for anyone really! Sleepyheads Fleece Wrap Robe – Surely I am not the only person who roasts all Summer and freezes all Winter? This soft and comfy wrap is perfect for home or outdoors to keep me warm and toasty all winter long! I love the Oatmeal color, but there are 3 more options for you to choose from! Mermaid Makeup Brushes – Speaking of date nights…am I the only one who forgets make-up on an almost daily basis and then hit date night and feel like a mermaid out of water getting ready! I love my girls, and I can dress them and style their hair so cute…but, when it is my turn, I feel totally incompetent! That is why I love these brushes! They make me feel like an expert even when I actually know I am not…and not only that, who doesn’t love mermaids and gorgeous brushes! Our Adventure Fund Bank – Who else needs a few extra bucks for those special splurges?? We definitely do! This little bank makes it so easy for my hubby and I to toss our coins in and then reap the benefit once its full of a special treat or date! I love a cute way to save money! Lint Roller – I’m sorry, but is this not the prettiest little functional thing you have ever seen? Gone are the big sticky wheels that hang out hidden in your closet…let this gorgeous lint roller take its rightful place on honor in your home, car or purse!! Rose Gold Studs – When JodiAnn was a baby I took out my earrings because she loved to play with them…I wish, wish, wish, I had bought cute little studs like these to wear so that I could still enjoy earrings without the fear of a baby snatching them out! Lip Gloss – Everyone knows that a little lip gloss can make you feel made up even when you are not! I absolutely love this color…and the name, yep, it was made for me!! Meet “Life in Photographs” a gorgeous color from Smith & Cult! Wear this for your next Session and get a little extra love from me!! Flamingo Laser Cut Wood Journal – I am probably the only journal hoarder…but, just in case I am not…I want to share this beauty that all the other journal hoarders need! 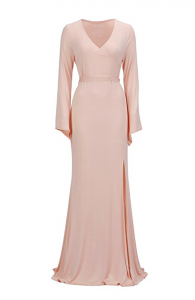 This beauty (and tons of others that you can find at the link) are handmade in California! I don’t know any woman out there that wouldn’t love one of these! iPhone Camera Lens – This little cutie gives your iPhone camera an instant lens makeover! You can use the Macro for close-ups of flowers, bugs, and anything else you want to see the close detail on…and also use the Wide angle lens for those larger than life scenes you want to capture! Great for the photography enthusiast in your life! Glitter Bomb Water Bottle – just the prettiest water bottle you ever did see right here folks! 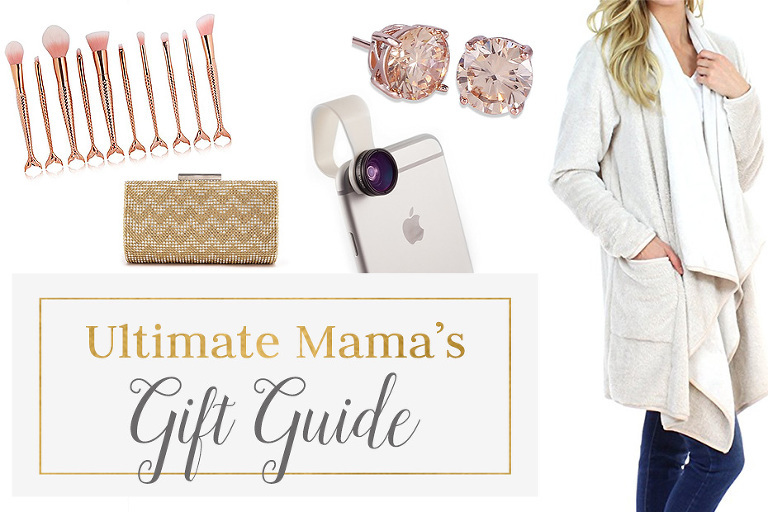 I hope that you have enjoyed this Ultimate Gift Guide for Mama’s and maybe it will help you find something great for that special Woman in your life!! Feel free to leave a comment if you have a favorite thing from this list or ideas of other great gifts!! I can’t wait to read your comments!! PS…Feel free to Pin this for later! !